A MAN HAS died after a three-car crash on the N4 this afternoon. Shortly after 2pm gardaí and emergency services attended the scene of a three-car crash on the eastbound lanes of the N4 dual carriageway near Mullingar. The driver of one of the cars, a man in his late 30s, was pronounced dead at the scene a short time later. 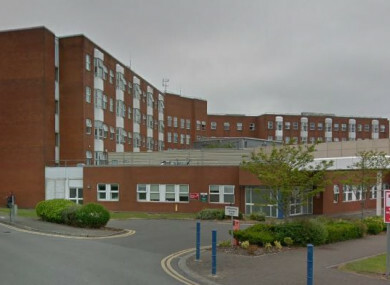 His body has since been removed to the mortuary at Mullingar Hospital for a post-mortem examination. Six people travelling in the other cars were removed to hospitals in Mullingar and Tullamore by ambulance. currently at the scene of three car collision on the eastbound lanes of the N4 between junction 15 (Mullingar East) and 14 (The Downs). Traffic is being diverted onto the N52 and east on the M6. Updates will follow. Investigating gardaí are appealing for witnesses to contact them. Anyone with information is asked to contact Mullingar Garda Station on 044-9384000 or the garda confidential line on 1800 666 111. It comes after a crash in Kilkenny last night has left a young man in a critical condition in hospital. Email “Man killed in three-car crash on N4 and six others taken to hospital”. Feedback on “Man killed in three-car crash on N4 and six others taken to hospital”.